Snapchat is a great app to use and have fun on daily basis. However, sometimes users need to take a break. Snapchat understands this and allows account deactivation and reactivation. So no matter what your reasons may be, you can easily delete your Snapchat account. Step 1. Open the web browser of your choice on your iPhone. Step 3. Login using your Snapchat username and password. Step 4. Check the box for human verification and then click the SIGN IN button. Step 5. You will need to enter your username and password again after the above step. Step 6. Click on Delete Account. Once you have successfully performed the above mentioned steps, your Snapchat account will be deactivated. You won’t be able to log in to Snapchat and your friends will no longer be able to send you snaps. Snapchat will also send you a confirmation email regarding your account deactivation. Step 1. Open Snapchat app on your iPhone. Step 2. Navigate to the main menu by swiping down on your screen and using the camera page. Step 3. Now open settings via the gear icon located in the top right corner. Step 4. In the settings section, navigate to Support > My Account & Settings and then find and tap Account Information. Step 5. Now select Delete My Account option. The option will be available on top of the word ‘Page’. Step 6. You will need to enter your password in order to verify the account deactivation. Step 7. Tap Continue. You will be notified on the next page about your account deactivation. The account will stay deactivated for the next 30 days, during that period you can reactivate it but not afterwards. 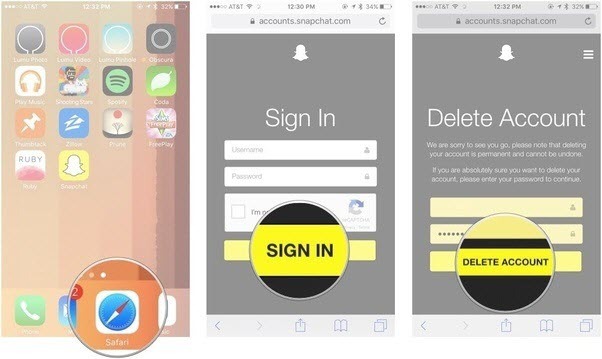 # 3 How to Delete Snapchat Account on iPhone Permanently? 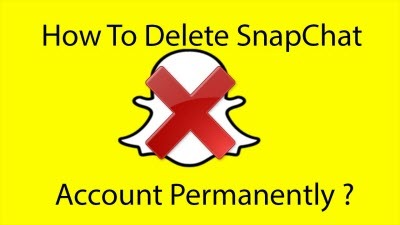 In order to delete your Snapchat account permanently, you will need to first use one of the methods mentioned above to deactivate your account. Once you have successfully deactivated your Snapchat account, all you need to do is wait for 30 days. After that period, your account will be permanently deleted. It is simple as that. The key is to not reactivate your Snapchat account within the given 30-day period. If you want to confirm that your account has been permanently deleted, you can try to log in using your old username and password. If your account has been permanently deleted, then you won’t be able to log in. You simply need to unsave/un-highlight the saved messages. To do that, tap and hold the saved message and wait for it to be un-highlighted. Exit the chat. The message will be automatically deleted the next time you enter the chat. 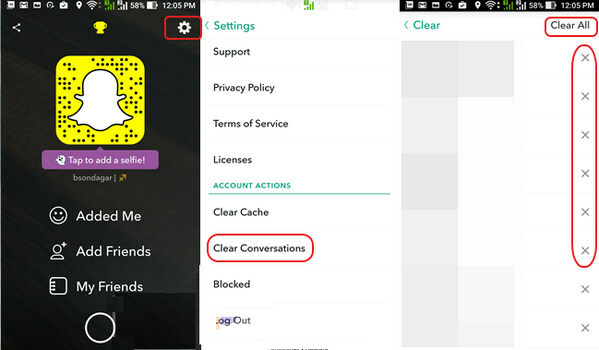 In Snapchat app, navigate to Settings > Clear Conversations. Now choose the conversation that you want to delete. If the message is not deleted, then it means it has been saved by the other contact. So to delete the message, you will have to ask the other contact to unsave it on their end. Once the other contact unsaves it, you can perform the above mentioned method to delete the chat. 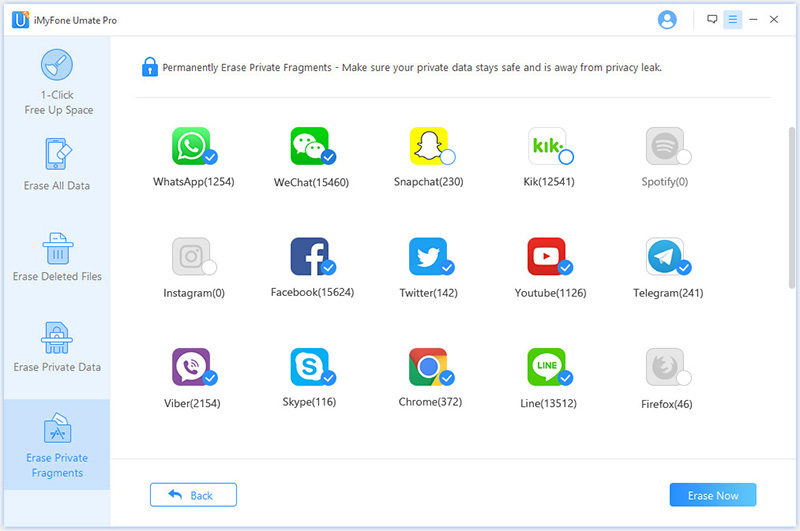 If you have deleted the Snapchat messages or conversations using the above methods, then it is highly recommended that erasing the left fragments permanently. The fragments left by deleting Snapchat messages or conversations can be recovered by some recovery tool. To avoid privacy leak, you must permanently erase these fragments. You can try iMyFone Umate Pro iPhone Data Eraser. 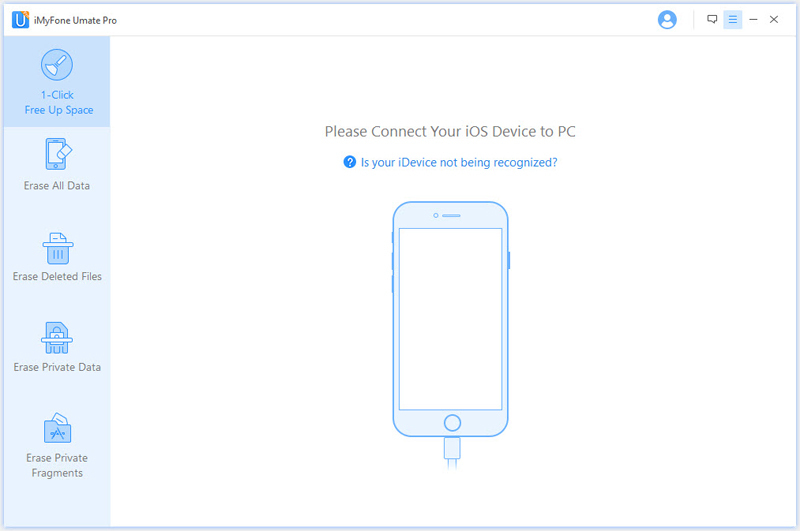 Delete your iOS data permanently. No one can retrieve them! 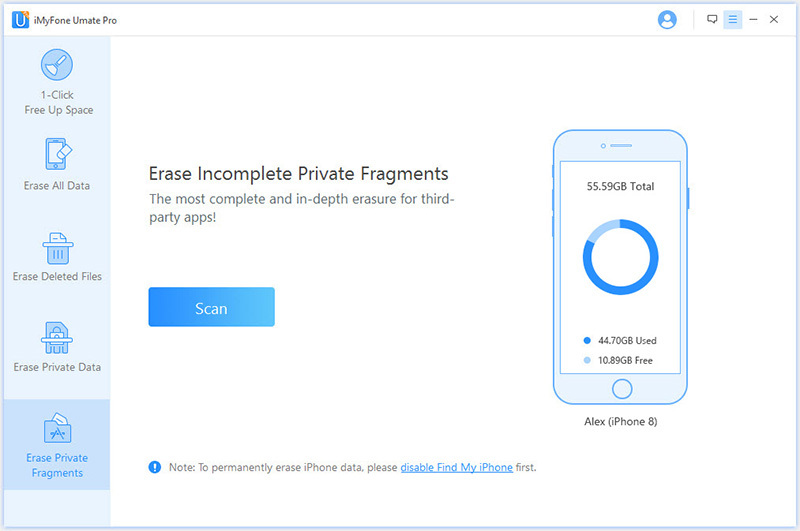 Erase your private data permanently such as messages, contacts, call history, safari history, third-party app messages & attachment etc. Allow you to preview your data, so that you can erase them selectively. Convenient 1-Click data deleting solutions and user-friendly interface. Step 1. Run iMyFone Umate Pro at your Mac or Windows computer. And then connect your iPhone to computer. Step 2. Choose Erase Private Fragments mode and click on Scan button. Step 3. After the scan process, check the Snapchat icon and click on Erase Now. 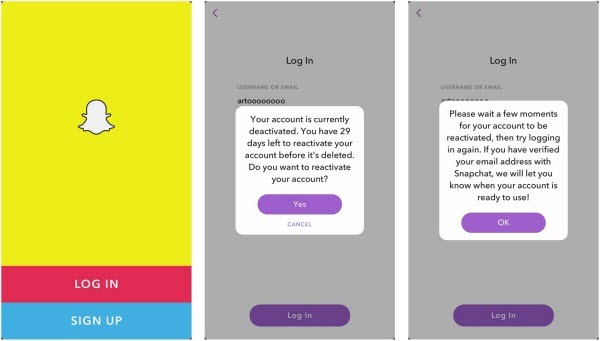 If you deactivated your Snapchat account via Snapchat app, then you will need to install the Snapchat app in order to reactivate it. After installing Snapchat on your iPhone, open it and login using your username and password. Upon successful login, you will be asked whether you want to reactivate your account. Select Yes from the given options. That’s all you need to do in order to reactivate your Snapchat account. You will also receive a confirmation email from Snapchat regarding the successful reactivation of your account.